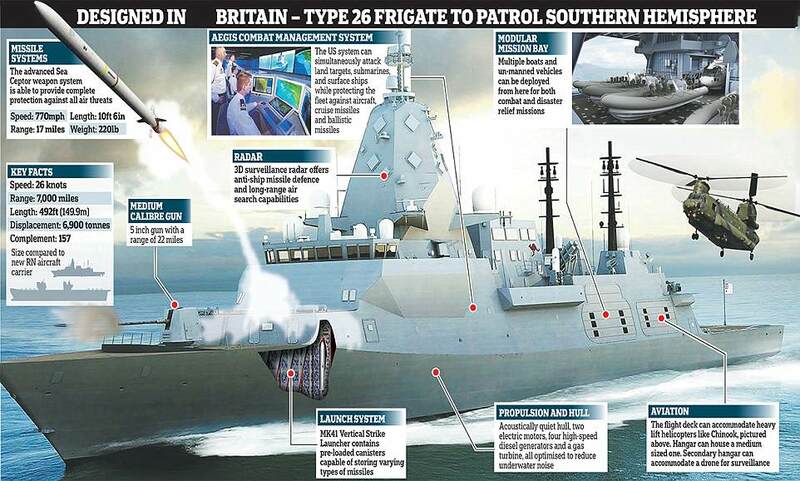 Defence giant BAE systems has landed a £20billion project to build nine warships for Australia in a major boost for Brexit Britain. The firm beat off fierce competition to get the contract to construct the ‘hunter killer’ anti submarine ships. The new fleet will become the backbone of Australia’s defence and is the biggest naval construction project the country has undertaken since World War Two. 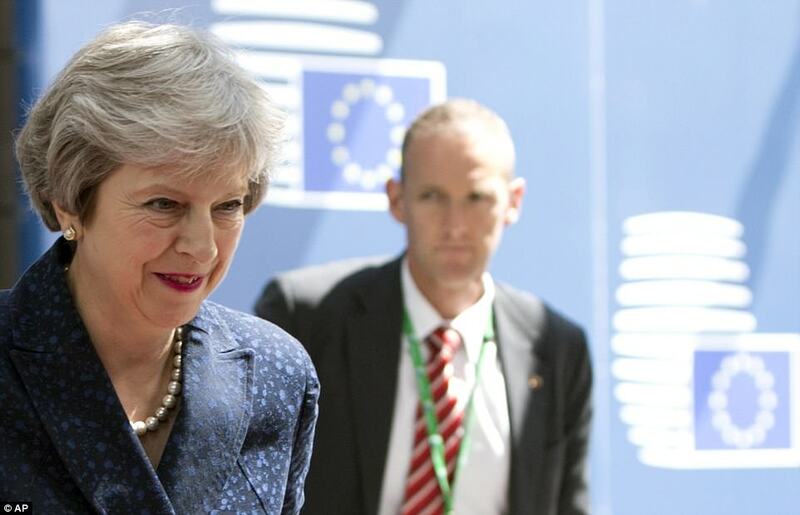 Theresa May hailed today’s news saying it is the ‘perfect illustration’ of the deals Brexit Britain will be striking. She said: ‘The sheer scale and nature of this contract puts the UK at the very forefront of maritime design and engineering and demonstrates what can be achieved by UK industry and Government working hand-in-hand. ‘We have always been clear that as we leave the EU we have an opportunity to build on our close relationships with allies like Australia. This deal is a perfect illustration that the Government is doing exactly that. Defence giant BAE systems has landed a £20billion project to build nine warships (an artist’s impression of one is pictured) for Australia in a major boost for Brexit Britain. The deal will create thousands of jobs in Australia and is a major boost to the defence industry in the UK. 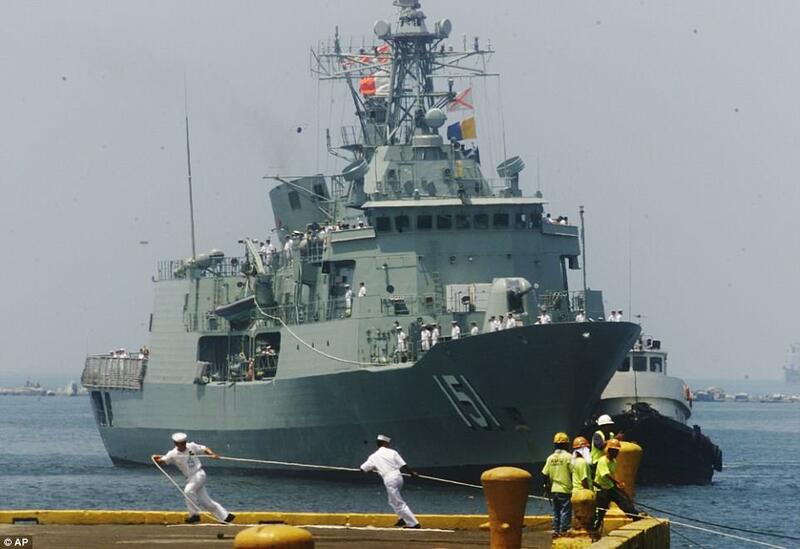 The Hunter Class frigates will replace the country’s eight aging Anzac-class frigates that began service in 1996. Construction on the ships will kick off in 2020 and the first ship is expected to be delivered in 2027, according to a report in The Australian newspaper. Australia is understood to have gone with the British bid in part because the two countries already have a close security partnership. International Trade Secretary Liam Fox said: ‘The UK and Australia already enjoy a strong trading relationship worth more than £13 billion a year. ‘Today’s announcement is a further boost to this relationship which will create significant opportunities for companies in both countries to deepen their trading ties. Defence Minister Guto Bebb said: ‘BAE Systems’ winning bid highlights the best of British shipbuilding design and our world-leading anti-submarine warfare technology. The close allies are both part of the ‘Five Eyes’ security partnership – an intelligence sharing alliance between Britain, Australia, America, Canada and New Zealand. 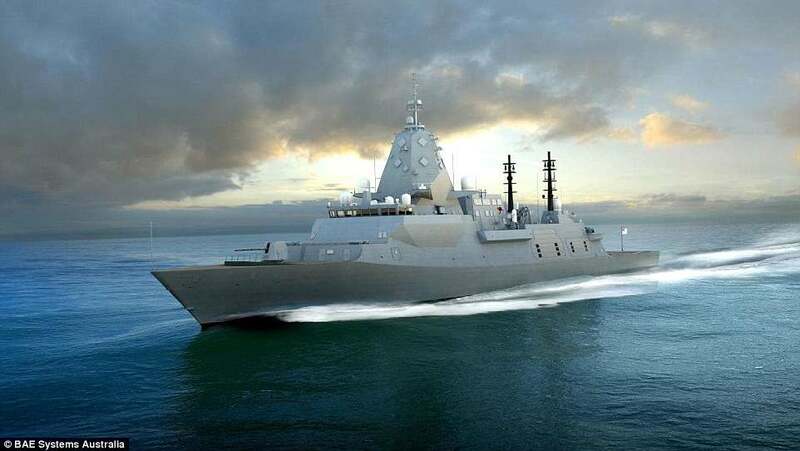 Australian Prime Minister Malcolm Turnbull said: ‘The frigates, to be designed by BAE Systems and built by ASC Shipbuilding, are central to our plan to secure our nation, our naval shipbuilding sovereignty and create Australian jobs. ‘(It) will provide our nation with one of the most advanced anti-submarine warships in the world — a maritime combat capability that will underpin our security for decades to come. ‘The Hunter class will provide the Australian Defence Force with the highest levels of lethality and deterrence our major surface combatants need in periods of global uncertainty. ‘The Hunter class will have the capability to conduct a variety of missions ­independently, or as part of a task group, with sufficient range and endurance to operate effectively throughout the region. The deal is expected to create 4,000 Australian jobs and deliver the most technologically advanced stealth-capable submarine killer in the world. The frigates will be be crucial to Australia’s defences at a time where China is escalating its military presence in the region’s oceans. BAE Systems won the contract ahead of competing bids by Italian firm Fincantieri and Spain’s Navantia. Defence chiefs in Australia are understood to have gone with the British firm because their ship was ‘by far and away’ the most lethal ship of the three. bids, the paper reported.